Upwards of 200 Danish soldiers will be part of the NATO battalion deployed to Estonia sometime late next year or in early 2018. However, Danish staff officers will be part of the military effort’s leadership group right from the start in the summer of 2017. “It’s looking good,” Peter Christensen, the defence minister, said according to DR Nyheder. 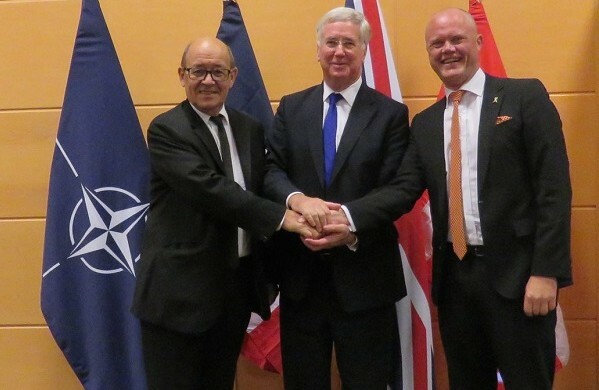 Christensen is currently in Brussels taking part in a NATO meeting with his colleagues, including the defence ministers of the UK (Michael Fallon) and France (Jean-Yves Le Drian). The Danish defence minister was in Paris earlier this week to discuss the long-term efforts in the battle against IS in Iraq and Syria, including the ongoing battle to liberate the city of Mosul in northern Iraq.